Exporter of a wide range of products which include vacuum batch cooker. 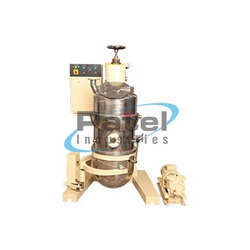 We are known as the leading manufacturer, exporter, and supplier of a comprehensive assortment of Vacuum Batch Cooker. Our offered batch cookers are easy to operate & needs no maintenance. The batch cookers given by us are well designed modular technology & unfinished material. After inspected these properly, we guaranty to offer faultless range of these batch cookers to our customers. Also, our customers can take these batch cookers from us at reasonable rates. Looking for Vacuum Batch Cooker ?